4 Ways to Improve Enterprise Mobile Device Security - Informs Inc.
Enterprise IT security is becoming increasingly difficult to manage. New threats are emerging daily (malware, phishing attacks, ransomware), and the cost of the attacks is rising accordingly. The average cost of a corporate data breach is nearly $4 million. In addition, there can be incalculable damage to a company’s reputation among its customers if sensitive data is compromised. Mobile technology has become a critical vulnerability. More employees can access corporate data on a mix of company and personal devices, sometimes on remote networks that may not be secure. If you don’t have full control over your mobile device security, you are putting your corporate data risk. You must secure your mobile enterprise with the correct level of security – below, we’ve outlined a few tips to keep those mobile connections safe. Mobile device management solutions such as SOTI MobiControl allow companies to quickly configure, deploy and manage mobile computers. The solution can help restrict mobile devices to using single applications in order to protect data, as well as establish secure mobile connections and protect important data using a secure mobile devices and configurable settings. 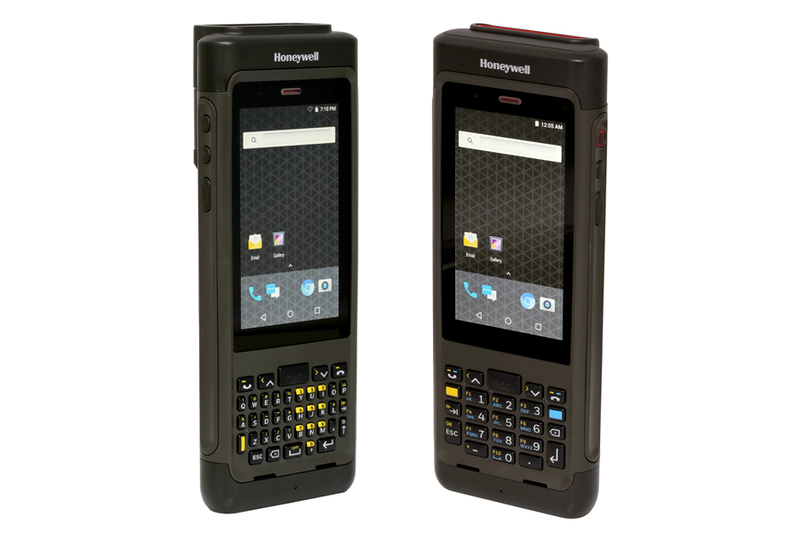 The Honeywell Mobility Edge platform allows companies to track your devices anywhere and anytime, while also extending security enhancements and support for the Android operating system through multiple OS updates. This consistent secure platform also streamlines large device deployments and protects sensitive company information. These solutions also make it easier for IT to centrally manage and enforce corporate mobile device security policies. Mobile employees work everywhere – from remote job sites to urban coffee shops. That means they are accessing your corporate files and applications through a mix of wireless broadband and WiFi connections. Experts recommend using a strong VPN solution to ensure that these communications remain encrypted, particularly when a mobile device is access the company network or a cloud-based system. In addition, mobile device security should block enterprise devices from using public WiFi networks. Fake WiFi systems that are used to breach mobile devices account for 28% of malware attacks, according to a 2018 Enterprise Mobility Exchange poll. A VPN provides encryption, access management, and user authentication. Enterprise mobile devices have come a long way since the days of green screen systems. These devices use consumer operating systems (Android), and leverage web-based applications and other solutions. As a result, these new rugged devise operate much like a personal smartphone. Companies should tightly control or block access to third-party software solutions and mobile apps that users may be tempted to download on their devices. Malicious apps account for a 24% threat of malware infections, according to the Enterprise Mobility Exchange poll. To better control app installation, companies can establish their own secure “app stores” with vetted and approved applications that end users can access. Mobile device management software can also be used to monitor and block the use of third-party apps. For employees that use personal mobile devices in the field, the use of a remote virtual work environment and a VPN connection can keep corporate data secure. Most importantly, it is critical you increase protection for the weakest link in your mobile device security infrastructure – your employees. The vast majority of malware and ransomware attacks are the result of employees falling for email phishing scams. Make sure employees are aware of mobile security policies, have been trained to recognize phishing emails, and are given ongoing education to keep them updated about the latest threats. Conduct regular mobile security audits, and do penetration testing by simulating phishing attacks. With the proper technology and policies in place, you can prevent the majority of common cyber attacks that target mobile devices and applications. This will not only keep your mobile infrastructure up and running, but also protect corporate data and help avoid costly data breaches.